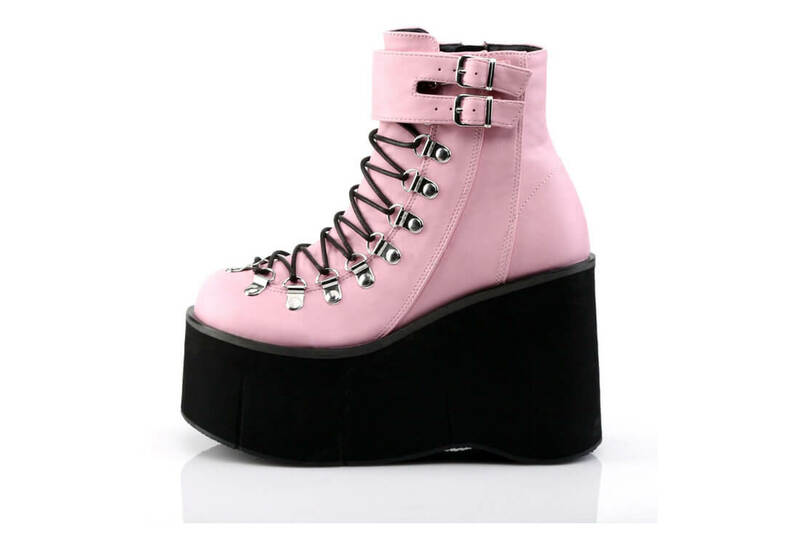 These fantastic looking platform boots in pink have a D-ring lace up front with a full side zipper. 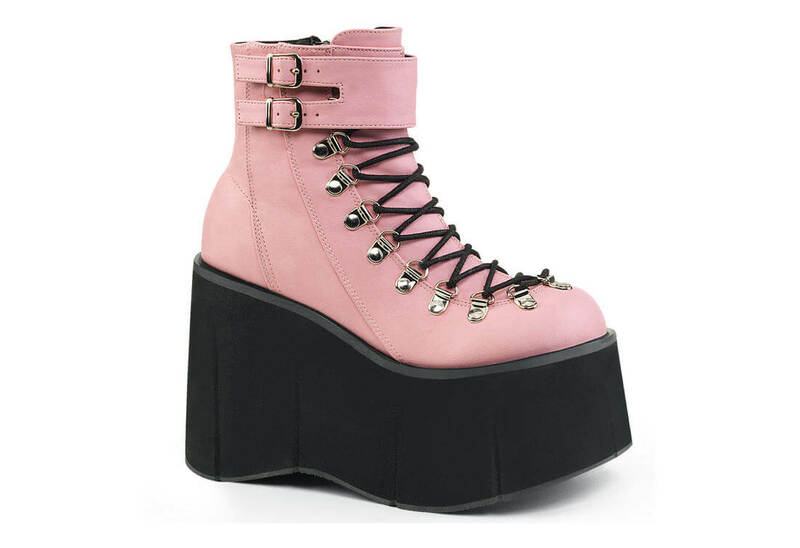 There is an adjustable two buckle ankle strap at the top. 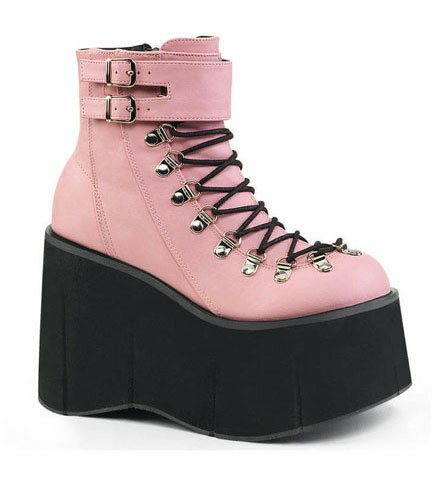 The platform on these boots measure 4 1/2 inches and are completely vegan friendly.